I’ve been wondering what quinoa was for the longest time. “Quino-WHAT?” Yeah… that’s what I said. I keep seeing recipes for these little bead looking things everywhere… especially on Pinterest. Anyway, I recently started working out and making healthier eating choices… and a few of my trusted friends highly recommended I try quinoa. 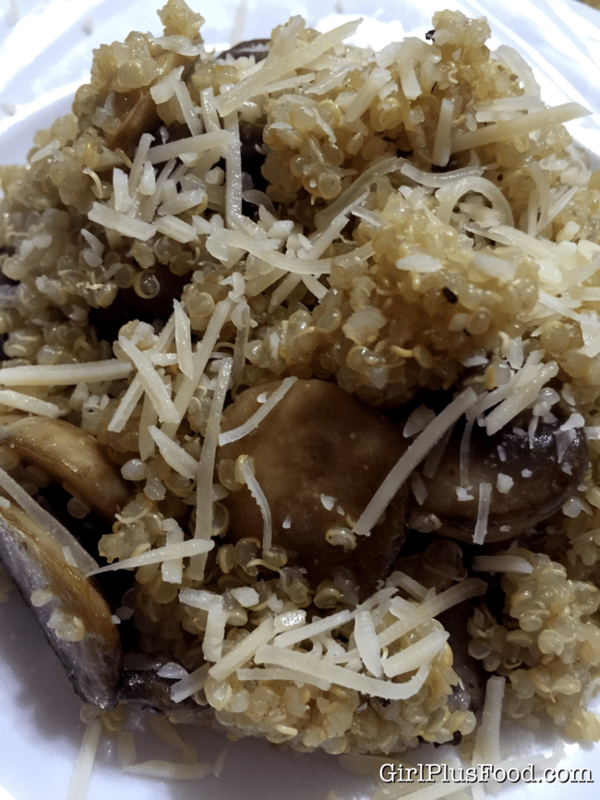 So I picked out a Garlic & Mushroom quinoa recipe… and here I am. 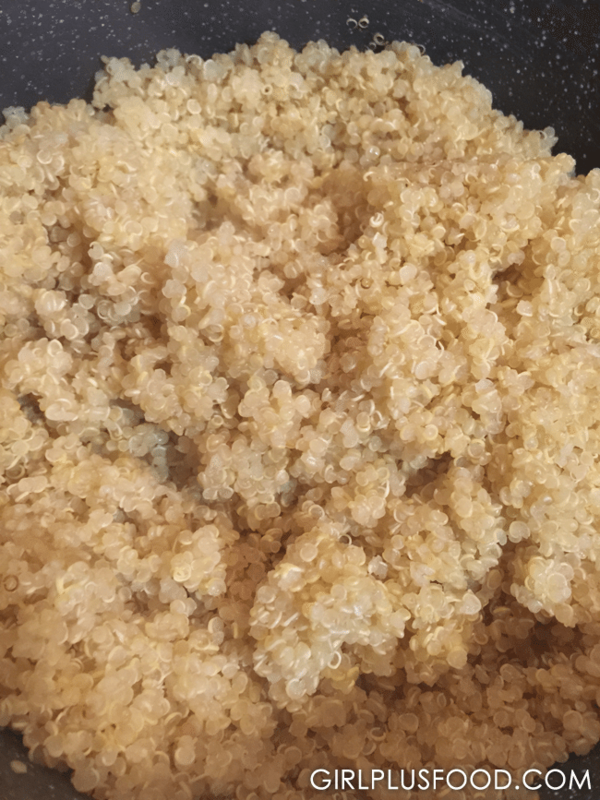 This is quinoa after it’s been washed and cooked. Isn’t it cute? 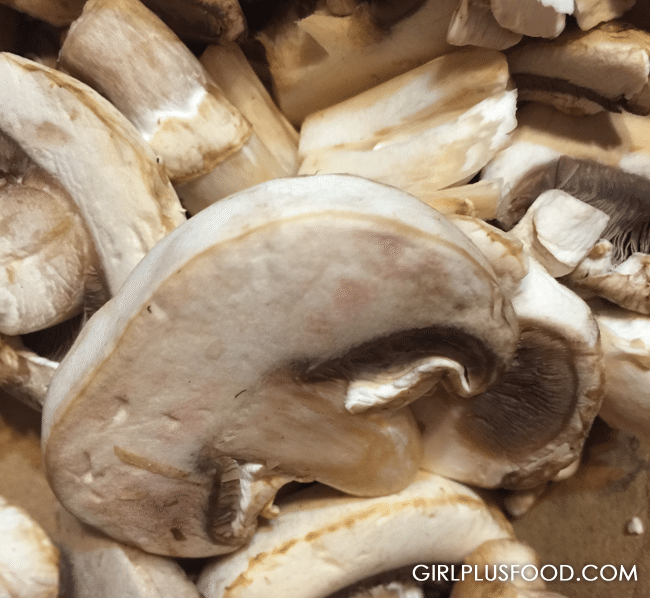 I have a secret: I’ve NEVER cooked mushrooms before. They look frightening to me… just as Turkey and raspberries do. Yeah, I know… I have the strangest of fears. I give myself credit tho… I put on a brave face and faced the dreaded mushroom for this dish (… as I screamed bloody murder). And garnish with Parmesan cheese! This turned out SOOOOO GOOD!!! 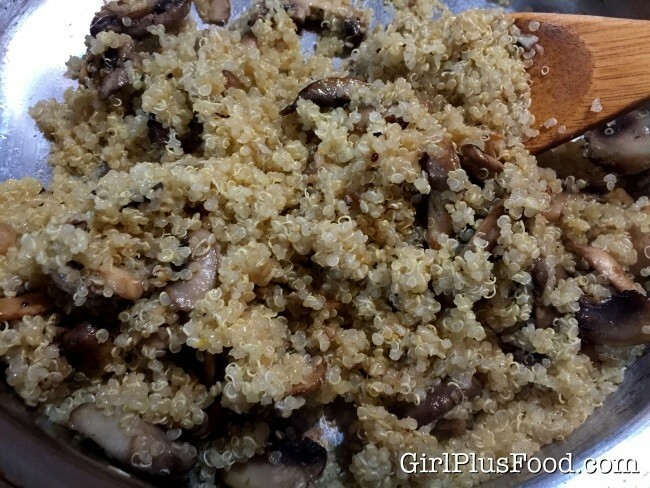 Quinoa gained a new fan… and so did the mushroom! Enjoy! Heat olive oil over medium high heat in large skillet. 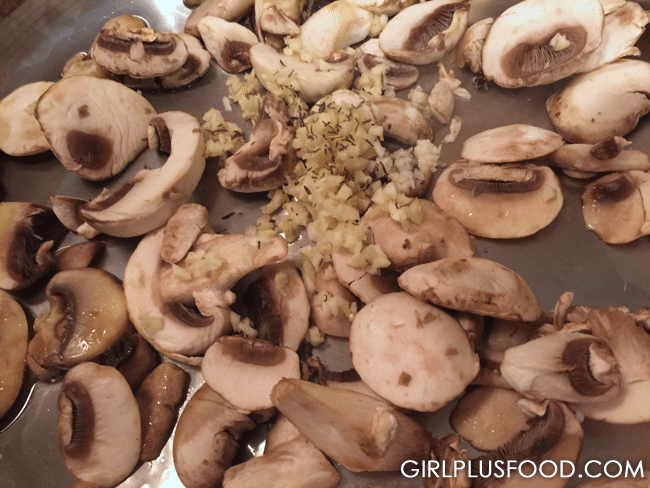 Add mushrooms, garlic, and thyme. Cook for 3-4 minutes, stirring occasionally until tender. Season with salt and pepper to taste. Stir in quinoa and combine well. Garnished with Parmesan and serve immediately! Previous: Sharp Cheddar Grilled Cheese With Bacon and Guacamole! Next: Quinoa Stuffed Bell Peppers Recipe!